The Kelsey site is a railroad-side site built for the ease of importing liquid and dry fertilizer into both the Edberg and Daysland locations. Located conveniently at Kelsey, Alberta fertilizer can be delivered and shipped to both sites throughout the year to keep both plants up and running, thus providing customers with their fertilizer needs all year long. 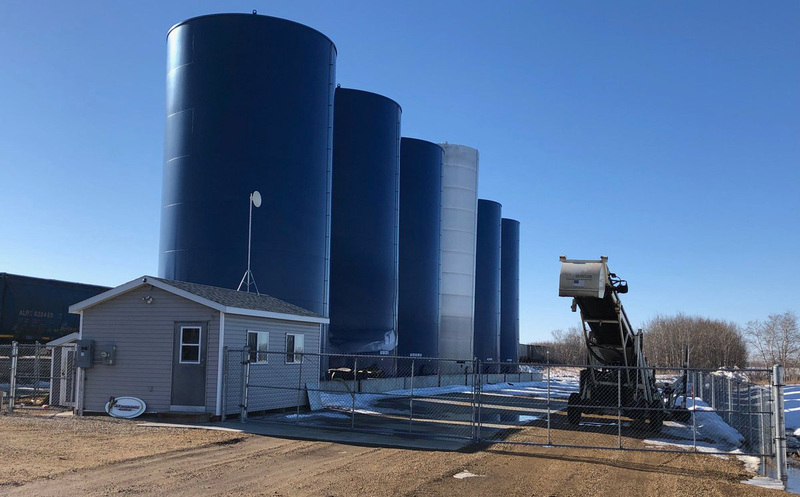 Liquid fertilizer can also be picked up and blended at the Kelsey site, providing customers with an easy pick up and transportation option for liquid fertilizer.